I am always on the look out for yummy side dishes that first of all are packed with nutrients, that will not take forever to prepare and finally something that my family will enjoy! Sauté the shallot with 2 tbsp of olive oil for a couple of minutes and add the edamame and corn. Cook for 5-6 minutes and add some salt and pepper. Meanwhile, sauté the garlic in a large pot and add the spinach with some salt and pepper. Add the veggie stock and cover so the spinach will steam, leave it to reduce for 5-7 minutes. 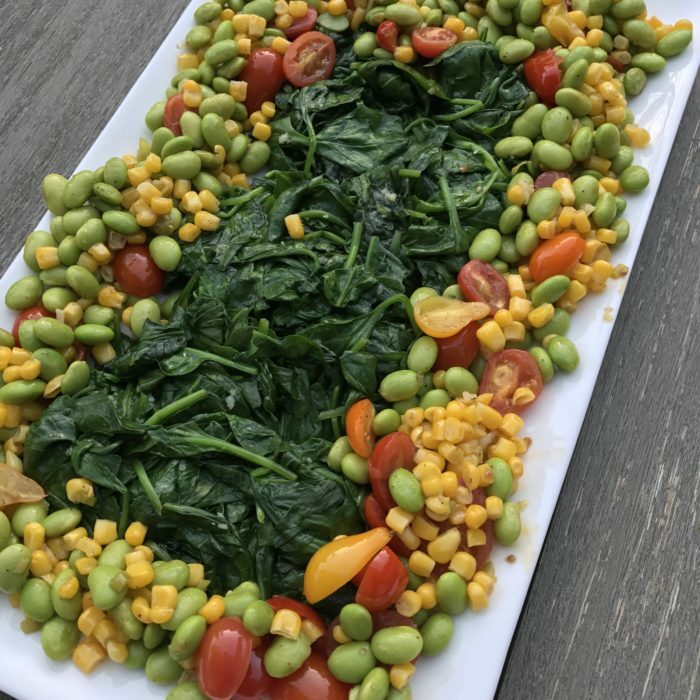 Add the cherry tomatoes to the corn-edamame mixture and plate it all together!